Here I am going to share the testimonial of Sajal Yenkar, who had undergone Post Graduate Diploma in Patent Law and Management from IIPTA. She did Integrated M.Sc. Biotechnology, Institute of Bioinformatics and Biotechnology, Pune University. She also qualified Qualified Graduate Aptitude Test of Engineering (GATE), Biotechnology 2017, and the English proficiency tests: TOEFL score – 109/120 (August, 2017). Quality focussed Biotechnology professional with experience of working on various aspects of Protein Research (Biochemistry, Protein engineering, Bioinformatics). She worked as a dedicated research student for 2 years. Experience in handling biotech equipment’s, have Knowledge of intellectual property laws including Patenting guidelines in Indian Patent Act, 1970 and American Invention Act. Studied various aspects of Intellectual property rights including a detailed overview of the Indian and US Patent Law. Gained hands on training on Patent Analysis (Prior art search) and Patent drafting within one-week duration of the course. 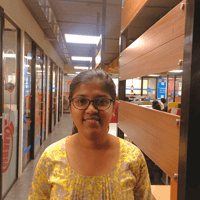 She has this classroom program from IIPTA in Mumbai and was very much satisfied after the classes which he undergoes under Patent Agent Mrs. Cheshta Sharma. She understood everything very well, and moreover was very much clear about the Program. She found the Patent Program very useful and was very happy with how the teacher taught the course.